The terminology such as personas and stories commonly used by web developing companies may be defined a little bit different than the traditional description. In any respect, it has more to do with end-users who utilize the web design. A persona is the embodiment of a user's experience and is a representative of the market. It is based on actual data for the best representation of potential users. A situation or scenario is the user's experience when making use of the website or app. It embodies what might be the functions, reasons and objectives of a user when faced with it. These two concepts provide numerous advantages for a web graphic designer and even to its developer. 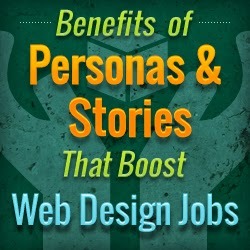 Personas have the following benefits. When making fictitious personas, although make-believe it is still important to derive/base it from factual user research. This enables the personas to be created with precise estimations of human personality, skills and motives. Such personas, the stories linked with them should be based on actual user experiences to create accurate scenarios or routes of possible future complications. In doing so, a better web development solutions for the benefit of aspiring designers and of course a more user-friendly approach is established.